Recently, we’ve spent a lot of time on the banks of the 隅田川 Sumida-gawa. With the exception of one article[i], we’ve been wandering around the Sumida River area for a month. Today I want to go to 北区 Kita-ku – literally the “North Ward” – which lies on the border of Tōkyō Metropolis and Saitama Prefecture. Today we’re going to talk about a place called 十条 Jūjō. Jūjō doesn’t exist today, but is used as a general term[ii] for an area in Tōkyō’s Kita Ward[iii]. The name is preserved in the official postal addresses as 上十条 Kami-Jūjō, 中十条 Naka-Jūjō, 東十条 Higashi-Jūjō, 十条台 Jūjōdai, and 十条仲原 Jūjō Nakahara. What is that you say? You’ve never heard of this place? That’s OK. Neither have I. The village first got mentioned in 1448 in a document called 熊野寮豊嶋年貢目録 Kumano-ryō Toshima Nengu Mokuroku. This was basically the annual tax reports of the 豊嶋氏 Toshima-shi Toshima Clan[iv]. The area was rural until quite recently and for most of its life was part of 豊嶋郡 Toshima-gun Toshima District. In the Edo Period, 豊嶋郡岩淵領十条村 Toshima-gun Iwabuchi-ryō Jūjō Mura Jūjō Village, Iwabuchi Fief, Toshima District was one of many villages on the 日光御成道 Nikkō O-nari Kaidō and the 鎌倉街道 Kamakura Kaidō. The former being the private road of the shōgun’s entourage[v] to the funerary temples at Nikkō, the latter being the route to the ancient capital of the first shōgunate at Kamakura. The first stab at an etymology came at the end of the Edo Period. 1804-1829 – 新編武蔵風土記稿 Shinpen Musashi Fudoki-kō New Description of the People and Lands of Musashi Province features the first extant recorded etymology. According to that book, 豊嶋清元 Toshima Kiyomoto[vi] oversaw the 勧請 kanjō ceremonial transfer of 熊野権現 Kumano Gongen[vii] from 熊野本宮大社 Kumano Hongū Taisha Kumano Grand Shrine to 王子 Ōji[viii]. 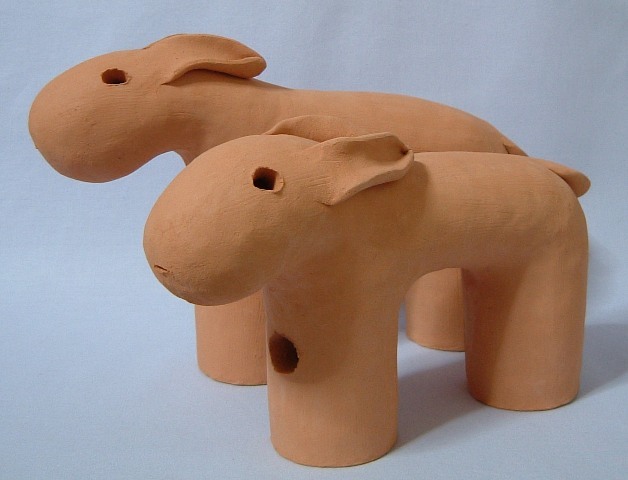 In transit, the kami came to be associated with 紀州の十条峠 Kishū no Jūjōtōge a mountain pass in Kishū called Jūjō. In modern times, a more realistic etymology has emerged. This one points at the 条理制 Jōri-sei Jōri System as the root of this place name. Jōri was a system of land management (or for our purposes, a measurement convention) that was common in the Heian Period. Which brings us to the kanji. 条 jō meant “stripe, road” and 里 ri was a kind of measurement. 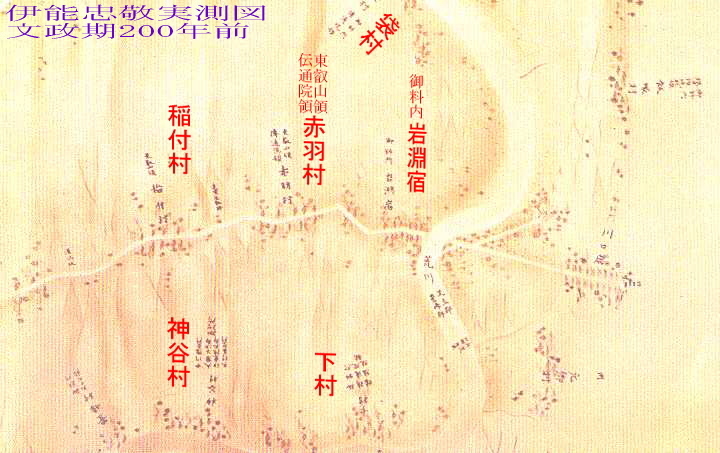 So the jōri system described farmlands in terms of the size of certain swathes of land. If you’ve ever seen a rice paddy, it’s essentially a shallow swamp dug into an enclosure that keeps the water from escaping. In the jōri system, 10 parallel 畦道 azemichi footpaths divided the paddies into discrete units. These footpaths used the counter for long roads, 条 jō. Therefore, 十条 jūjō means a “field that consisted of 10 parallel footpaths.” In short, this was a huge rice growing area divided into 10 sections. Fans of Kyōto may be dying to know if there is some connection between this system and some of the names of streets in central Kyōto. And the answer is “yes.” 条 jō generally ran east to west. The former imperial capital boasts 9 major thoroughfares that run east to west all of which are designated by ～条 –jō. The famous Tokugawa administrative center 二条城 Nijō-jō Nijō Castle literally means Castle on 2nd Street. Kyōto has 9 streets that use the ～条 –jō designation. Interestingly, there is no 十条 Jūjō 10th street in Kyōto. [i] That article was part of the impetus for me to explore this area because all of this is leading up to a few areas I’ve been dying to cover. It’s gonna take some time, best to go slow. So much to cover. [ii] 汎称地名 hansho chimei general place name. [iii] 十条駅 Jūjō Eki Jūjō Station services the Saikyō Line which runs between Ōsaki and Ōmiya. [iv] Here’s my article on Toshima. [vi] Kiyomoto was a retainer of 源義朝 Minamoto no Yoshitomo, father of 源頼朝 Minamoto no Yoritomo, the first Kamakura shōgun. [vii] Kumano Gongen is a 神 kami that originated in 和歌山 Wakayama. There are roughly 3000 shrines dedicated to this deity. [viii] In present day 北区 Kita-ku Kita Ward. Why is Kita called Kita? Until the 1940’s, this ward didn’t exist. In the 1930’s, 郡 gun districts of Tōkyō were abolished and absorbed into wards or other administrative areas. The former 北豊島郡 Kita Toshima-gun North Toshima District was broken up. Toshima Ward was created in 1932 but two remaining areas of the former district, namely 滝野川 Takinogawa, 王子 Ōji, and 岩淵 Iwabuchi were merged into a new ward in in 1947. 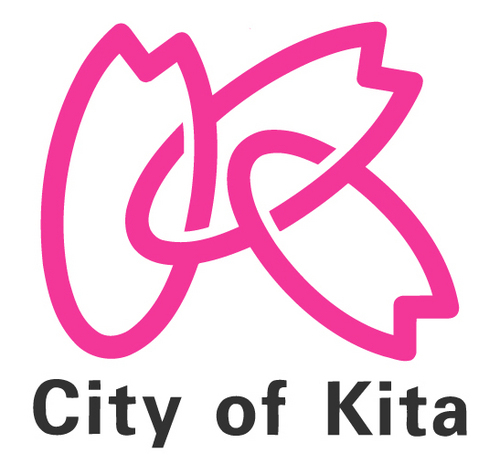 Many names were suggested for the ward, but since the area is in the northernmost part of Tōkyō and is comprised of areas of the former North Toshima district, the name Kita was chosen – reflecting the area’s heritage and geographic reality. And that’s all she wrote, biatch! I totally just quoted myself. Right then, let’s get started. Recently I’ve shifted direction towards the northern part of Tōkyō. We’ve touched on the holdings of the Toshima clan quite a bit recently, haven’t we? 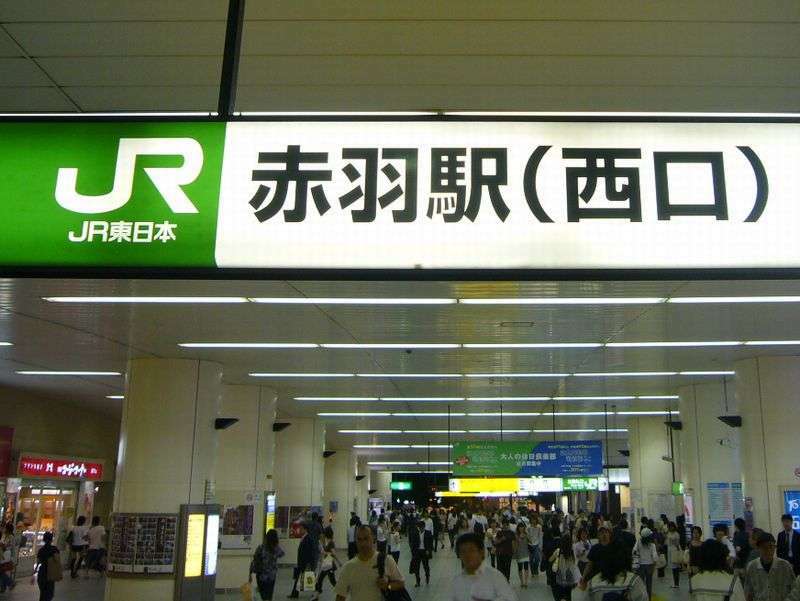 Shakujii, Nerima, and Itabashi – I covered Ikebukuro a while ago. Up until this point, I’ve been referring to a certain administrative area called 豊島郡 or 豊嶋郡 Toshima-gun Toshima District. The kanji 豊 to/toyo is a really auspicious character. It’s “nobility ranking” is off the meters**. Given our previouos encounters with ateji in old place names, take that with a grain of salt. Anyways… the Toshima area is first attested in the 700’s. At the turn of the century (1000’s), the 秩父氏 Chichibu clan (a branch of the Taira) was granted influence over the area by the Imperial court. The branch of Chichibu in Toshima took the name of their fief and became an independent clan***. They maintained dominion over the area until the 1400’s when Ōta Dōkan stepped up and slapped their dicks out of their hands and face-fucked them full-force with the giant phallus that was the Sengoku Era. Ota Dokan. Don’t let the silly hat fool you. He was a beast in the boring part of the Sengoku Period. Ōta Dōkan’s actions disrupted the old status quō and throughout the Muromachi Period the area was unstable. However, the district did not collapse or disappear. The 23 Special Wards of Tokyo. Toshima Ward is circled. Originally Toshima District included the whole of modern day Chiyoda, Chuo, Minato, Taito, Bunkyo, Shinjuku, Shibuya, Toshima, Arakawa, Kita, Itabashi and a few other areas outside of the borders of those wards. The city of Edo was just one of many small cities in the district. Before the arrival of the Tokugawa, the district had been divided into two distinct areas, 北豊島郡 Kita Toshima-gun North Toshima and 南豊島郡 Minami Toshima-gun South Toshima. More about Kita Toshima later this week. After the arrival of the Tokugawa, much of South Toshima fell under direct rule of the shougun as part of the city of Edo. The remaining areas of district continued to exist as an administrative unit separate from the city of Edo – part of 武蔵国 Musashi no Kuni Musashi Province. In 1868, the Emperor entered Edo Castle and Edo’s name was changed to Tōkyō. The boundary of the new city was different from the shōgun’s capital. The Edo Era Toshima District was incorporated into the new city limits. In 1878, the district was abolished when the new system of 区 ku wards was implemented in Tōkyō. But a district called 北豊島郡 Kita Toshima-gun North Toshima District continued to exist until 1932. An official ward called 豊島区 Toshima-ku Toshima Ward was created that year when all of the districts of Tōkyō were abolished. The 北 kita (north) part of 北豊島 Kita Toshima wasn’t thrown out altogether… and we’ll talk about that missing 北 tomorrow. ** The so-called second great unifier of Japan, 豊臣秀吉 Toyotomi Hideyoshi, received his 豊-name from the imperial court in 1586. It brought potential lasting prestige to him and his newly founded clan, BUT…. use of the kanji in names and place names declined after the rise of the Tokugawa. And take THAT with a grain of salt, too! *** I mentioned the Toshima clan in the recent articles about Shakujii and Nerima.